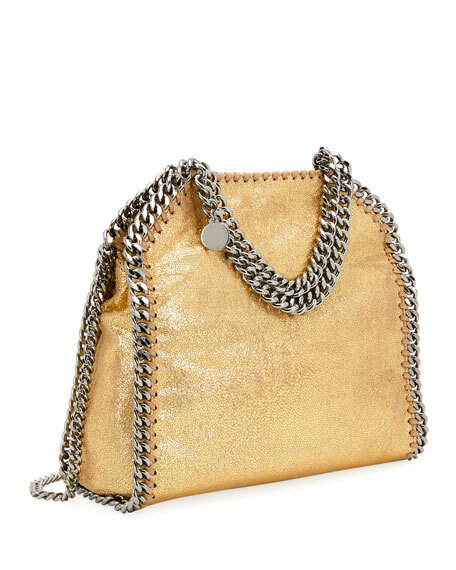 Stella McCartney "Falabella" crackled metallic faux-leather tote bag. Silvertone curb chain tote handles. 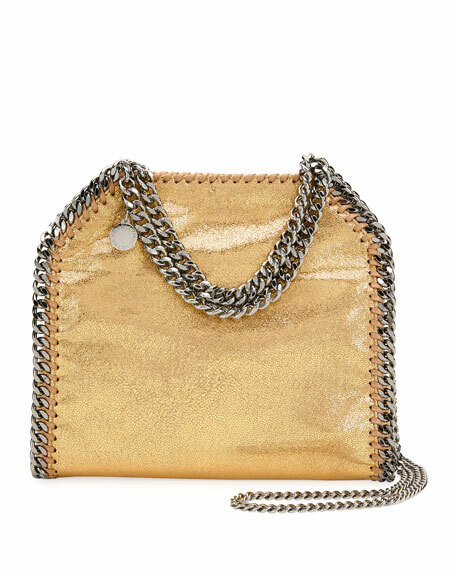 10.3"H x 9"W x 3.5"D.
For in-store inquiries, use sku #1582890.